The Note 9's S pen has a bunch of new tricks. You probably noticed that Samsung's new S pen comes in two new colors to match and complement the new shades of the Galaxy Note 9: purple and yellow. But the new colors are about more than just aesthetics. They also affect how they write. Depending on which phone you bought, your S Pen will write in either yellow or purple. But you can change it back. 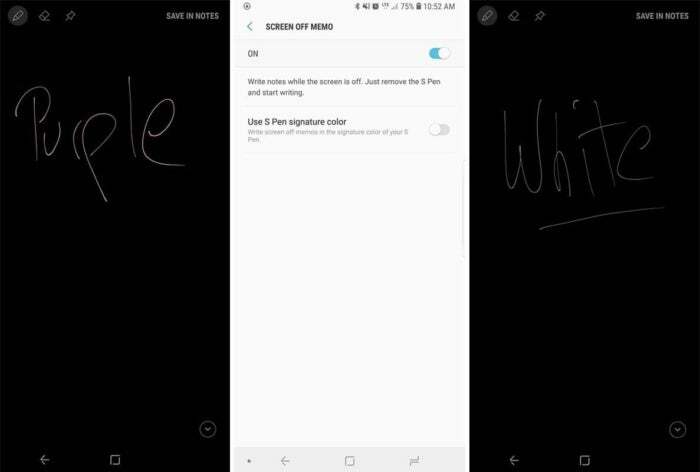 If you want to write in white, head over the the S Pen settings in Advanced features, tap Screen off memo and turn off the Use S Pen signature color toggle. One of the new features of the Galaxy Note 9's camera is borrowed from the Galaxy S9: the ability to record in 960-fps Super slo-mo for incredibly detailed and cinematic-style video recording. But Samsung has upgraded it on the Note. The way it works on the S9 is, the phone will record 0.2 seconds of video in 960 fps, expanding those milliseconds into about six seconds of viewing time. 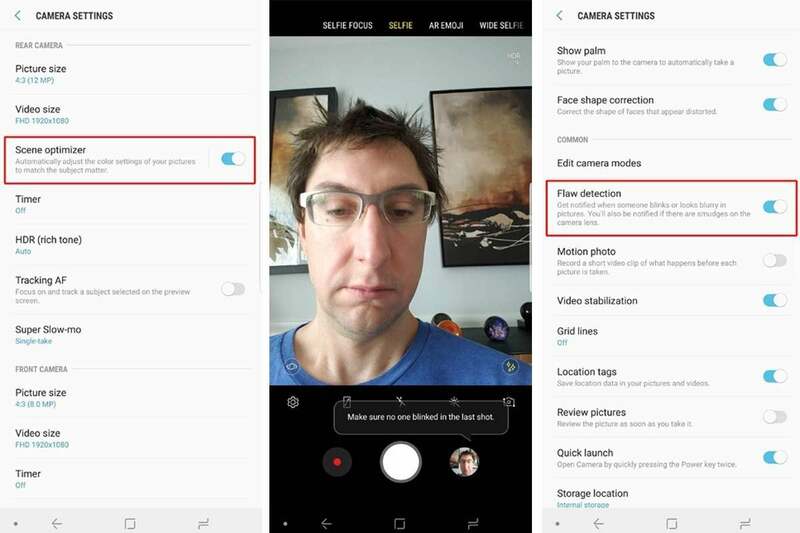 That's the same as on the Note 9, but you have the option to record 0.4 seconds as well. To change it, tap the 0.2 button above the shutter. One caveat, however: You'll be taking a quality hit, as the phone will only record the 0.4 seconds of super slo-mo in standard quality (480p), versus high-quality 720p when using 0.2 seconds. The Note 9 might have the same camera hardware as the S9+, but it also has two new camera features powered by AI. 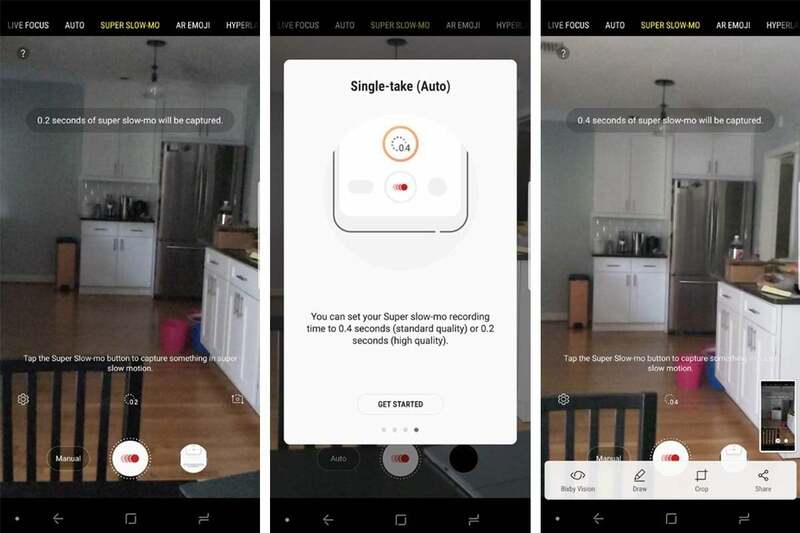 One is a scene optimizer that adjusts the color and exposure settings based on what you're shooting, and the other is a flaw detector that will notify you if the person in your shot moved or blinked. Both features are useful (particularly scene optimizer), but if you don't like them, Samsung has made them optional. Just go to the settings inside the Camera app and find the two toggles to shut them off (scene optimizer is near the top, while flaw detection is a bit further down the list). Samsung's Edge panel has been around since the days of the Galaxy S6, and there aren't any new features on the Note 9. But one important thing has moved to a much less obvious place. When you enter the Edge Panel selector, there used to be a download button at the top of the screen next to the menu. That's gone now, but you can still browse and buy new panels. Just tap the three-dot menu to the right of the magnifying glass icon and select Download. This feature actually arrived with the Note 8's Oreo update in March, but it's worth pointing out here. If you're the kind of person who uses their phone in landscape mode a lot, you no longer need to flip your phone when you leave an app. Inside the Home Screen settings you'll see a toggle marked Portrait mode only. Turn it off, and your home screen will rotate when your phone is turned sideways, just like your apps. The S Pen's new Bluetooth capabilities are cool and all, but because it's brand-new technology, it's far from flawless. If you need to reset for any reason, you can find the option in S Pen remote settings. 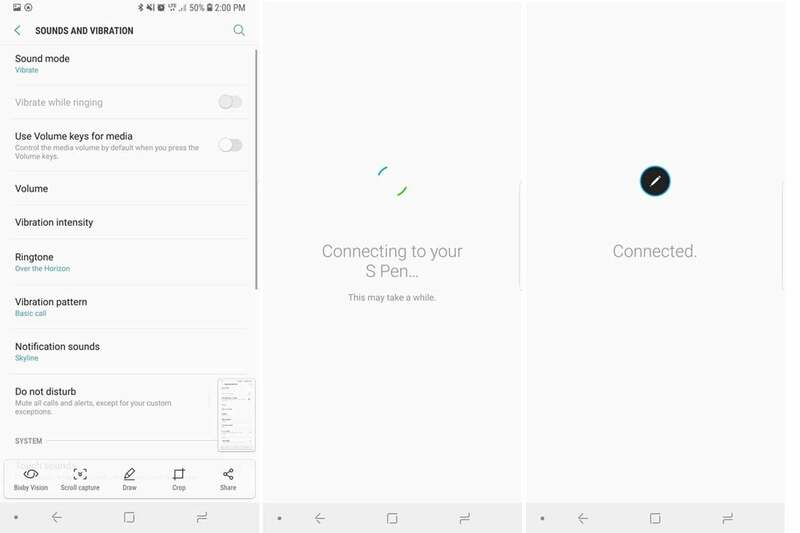 Tap the three-dot menu in the upper-right corner and select Reset S Pen. It'll take about 40 seconds to re-connect (which incidentally is the same amount of time it takes to charge the S Pen). 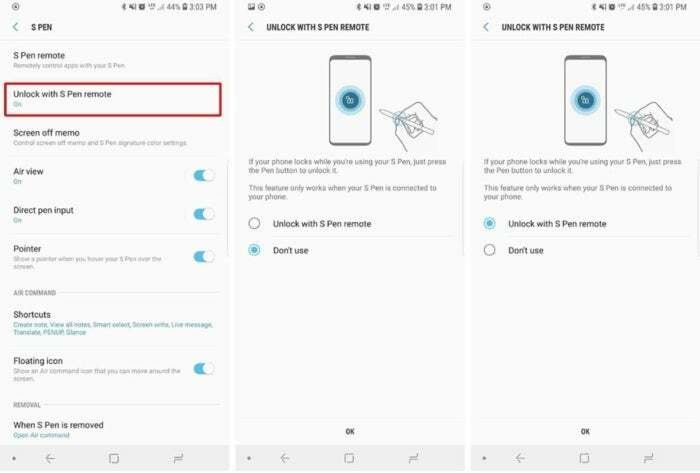 Samsung may have regrettably removed the button that turns off the blasted Bixby key on the Galaxy Note 9, but you can still disable Bixby Home. However, the switch isn't in the Bixby Home settings where it should be. 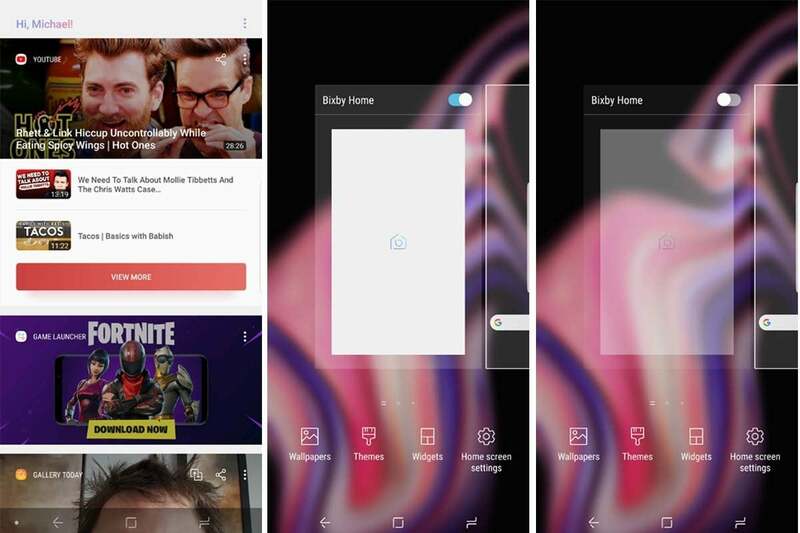 To find it, long-press on the home screen to bring up the customization screen and swipe right until you reach the first screen. You'll see a toggle at the top for Bixby Home. Flip it off and you'll never accidentally open it again. 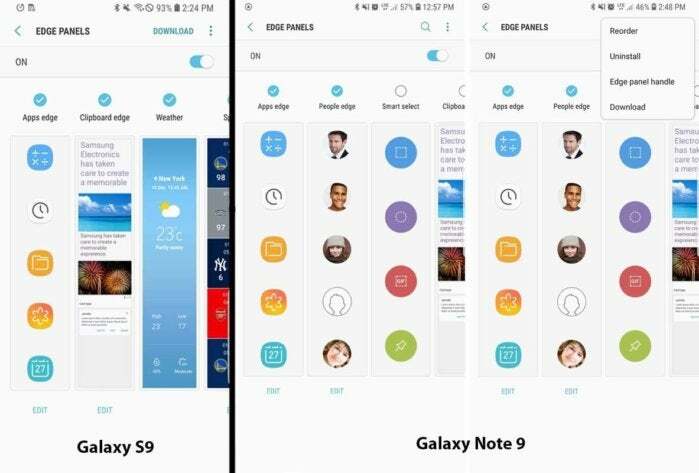 The Galaxy Note 9 might not have Android 9 Pie yet, but you can still get one of its most useful features. I'm not talking about gesture navigation, I'm talking about something much simpler: volume control. In Android Pie, when you press the volume buttons it defaults to controlling the media, you know, the thing we usually want to do. 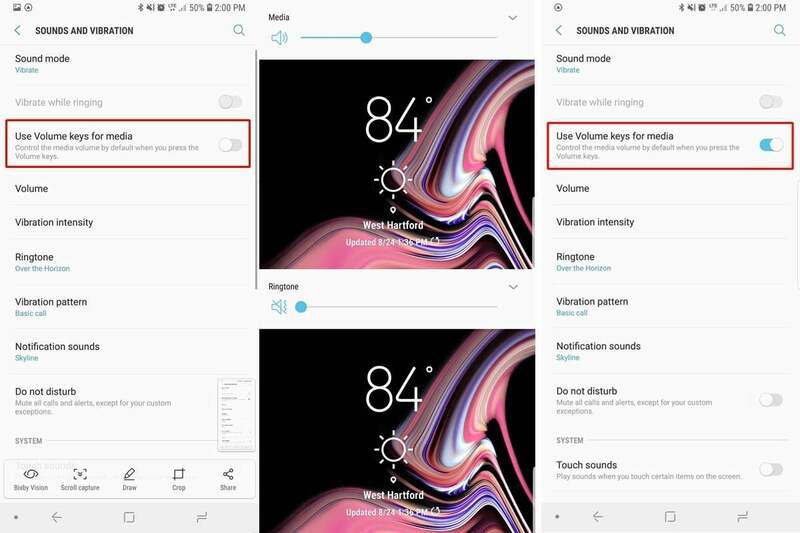 On the Note 9 (and every other non-Pie Android phone), pressing the volume key controls defaults to controlling the useless ringtone volume. But you can change that on the Note 9. Inside the Sounds and Vibrations settings, there's a Use Volume keys for media toggle. Turn it blue and you'll get a little piece of Pie on your Oreo device.